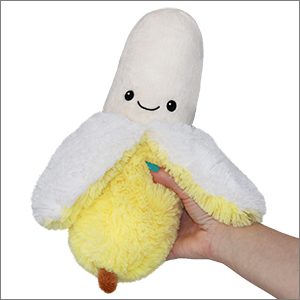 Mini Comfort Food Banana: An Adorable Fuzzy Plush to Snurfle and Squeeze! Elena F. is a summer art intern. Hobbies include making comics, watching anime, and petting dogs. Did you ever wonder why bananas are curved, instead of straight like a carrot or round like an orange? Some say it's because it's easier for pretending to use as a phone. Others believe it's nature's comma, but that's just because people are weird sometimes and say things that make no sense. 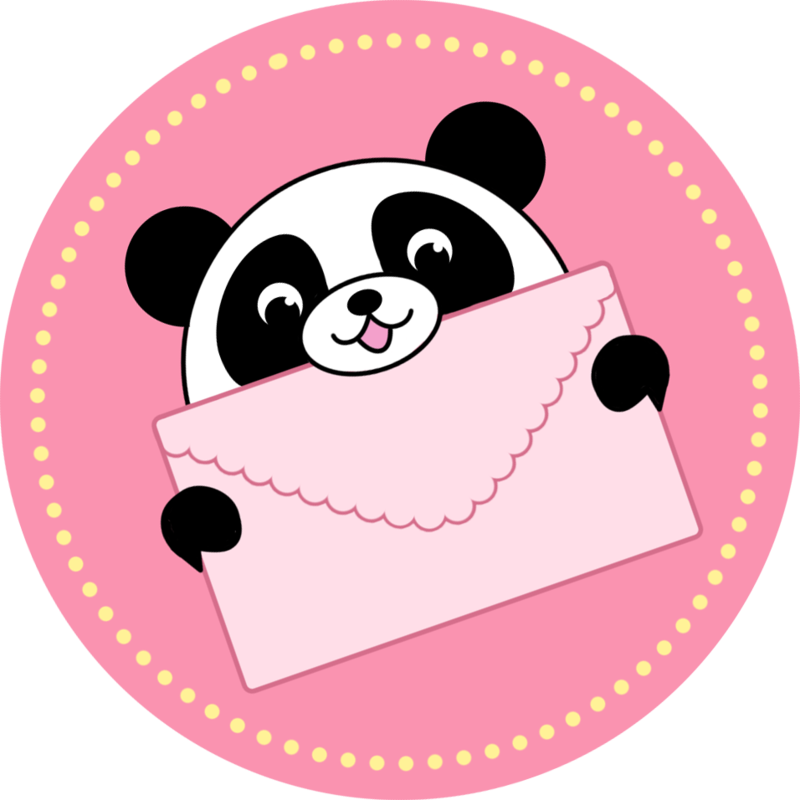 Plush toy description-writers, especially. Scientists have another explanation, one backed by science. Bananas grow upside down and they bend toward the sun! This tropical treat did not bend for the good of humanity, but for it's own self interest! Which is a lesson for all of you people-pleasers: you're nobody's comma! I have over a dozen Squishables at this point, and while they're all squishy and adorable, Mr. Peel is my favorite to hug. Not only does he guilt-trip you into it with his little smile, but he's the perfect oblong shape to squeeze, and he's much squishier than similarly shaped Squishables (like my friend Cobb the comfort food corn who is much "sturdier"). Mr. Peel likes to sit in the crook of my arm while I work from home, and judging by his face, he enjoys the cuddles. His peels are super soft, he loves playing Peek-a-Boo with me and my lovingly exasperated husband, and his ridiculously long forehead makes me feel better about my own. Also: he has a little brown nub on his bottom where he grew from the cute tree. Not only is this cute (hence the name), I'd like to know where this cute tree is located so that I may acquire it and have all the squishy bananas. For now, Mr. Peel is my right-hand man and partner in crime, and I am so happy to have him. Nanna (my brand new Squishable Banana) is my latest obsession. Everyday when I get home I go and admire her for at least five minutes. So happy that she finally came in the mail; I was waiting for days! I LOVE MY NANNA! the moment I saw this little guy when I opened that box, I thought my heart would explode. I bought a toy fridge to put all my mini comfort foods inside of, with him as the newest addition. Thank you so much! I love love love this banana! It is sooo soft and the peels are so fun to flip around and play with...this is just a cutie pie of a banana and I love it too much for words!